Where Is Batkid 5 Years After He Went Viral? 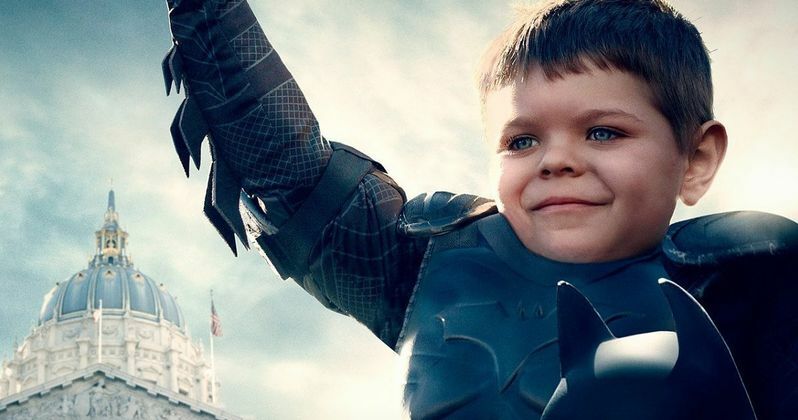 Five years ago today, Miles Scott transformed into Batkid to save San Francisco. Fighting Leukemia at the time, Miles got to become his favorite superhero through the generous work of the Make-A-Wish foundation. On the five year anniversary of this event that captured America's attention, we have an official update on Miles and where he is now. Today (November 15) marks the 5-year anniversary of a day that millions around the world will never forget. The day Batkid saved San Francisco from evil. On this day,Miles Scott, a then 5-year-old with leukemia, had his wish granted by Make-A-Wish to become "Batkid." The entire city banded together to create an unforgettable day that involved saving a damsel in distress, defusing a "bomb" and capturing a villain, all of which ended in a press conference at City Hall where Miles received the key to the city from the mayor. The result was the one of the most viral and buzzworthy moments in recent history. Miles Scott is now 10 years old. And we're very happy to report that his leukemia is in remission. The Make-A-Wish foundation had this to say about Miles recovery from cancer. "After fighting his own heroic battle with leukemia since he was a year old, Miles visits his oncologist once a year, and has been in remission from leukemia for the past five years." The Make-A-Wish America foundation also went onto give a further update, explaining how turning Miles into Batkid truly helped him overcome his illness, getting him to a healthier stage in life. The wish was a true gamechanger that helped Miles build the physical and emotional strength needed to fight his critical illness. In fact, the wish meant so much to Miles and his family that his mom, Natalie, applied and became a volunteer wish granter for Make-A-Wish to make more life-changing wishes possible. It looks like Batkid is now bigger and stronger than ever!" In making Batkid become a reality, late Mayor Ed Lee gathered over 20,000 volunteers. all helping to turn San Francisco into Gotham City for a day. The San Fransisco police chief contacted Miles, insisting that they needed his help to stop the Riddler from taking over the city. Batkid came through and definitely saved the day. The event was originally profiled in a special edition of the San Francisco Chronicle. And Miles received a key to the city. President Barack Obama even congratulated Batkid on such a great job. The entire day was captured on film and turned into the documentary Batkid Begins. There has also been a feature length movie about the day in the works with Julia Roberts. As for Miles, he is now part of the local Little League team, and he has returned to life helping out on the family farm. He is in the 5th Grade, and is excited for his science classes with an eye towards learning more about robotics. Thanks to Make-A-Wish for this update.